Insight into Aries: Displeasure, outrage and vengeance. Aries, the first sign of the Zodiac, is primitive, aggressive, turbulent, daring, combative, spontaneous and can be brutally violent. That should sum the Aries rage. Charging headlong like the brute the Aries is, the term 'subtle' does not find a place in their dictionary. Their naive behaviour and aggressive approach, even in public, is a menace. They don't really care about the consequences, and would get into a brawl with zero delay. Ruled by Mars, the God of war, the Aries leaves nothing to fall down, and strikes back instantly. Their gut feeling might be wrong, but they don't care either. People recognize the Aries as a beast, that is easily angered, and there is no guarantee that they won't explode even in the most polished environments. Want to anger an Aries? They are prone to temper tantrums! Angering Aries shouldn't be too difficult, considering they have a short fuse and that they are the most competitive sign of the Zodiac. You simply have to one-up them. Whatever they do, you have to do it just a little bit better, and make sure to gloat a lot. That should do the trick. Any little provocation can ruffle their feathers, and they are not tolerant ones. An outburst is sure to follow. There is no let-up, no warning, and no delay. Their retaliation to any provocation is instant, and their explosive temperament leaves no room for any civilized reaction and conversation. This volatile fire sign, cardinal by nature, is considered the baby of the Zodiac - being the first sign. Their angry outbursts, just like toddlers, are mostly silly temper tantrums - at the slightest pretext. This is because of the fact that their Moon (feminine emotions) is in conflict with their ruling planet, Mars (masculine action). Aries don't believe in pondering over things, or worrying about consequences. 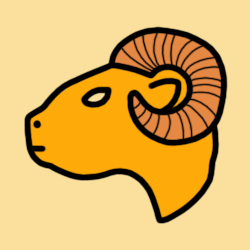 If you irk the Aries, the reaction will be instant - without caring where they are, who they are with, or even who they are up against. When Aries decides to exact revenge, they are on 'do or die' mode. They will avenge themselves right there, and then - like a flash fire, leaving behind only smoke and ashes. The good thing about avenging Aries is that they exact their revenge immediately and openly. For Aries, what you see is usually what you get. There is no planning, no suspense, no tactics. On the other hand, Aries forgives as quickly as it is offended. If you have unwittingly hurt an Aries, you must have already got what you deserved! Then comes the ruthlessly icy silence - they will sever all communication when miffed, and the distancing is going to be forever. Only if you are genuinely contrite, with a direct apology, you may be forgiven. You have to force communication, and assure that you see their side of the story - no drama, only direct apology - will see the end of the offence. Try telling them you have an important thing to discuss, and go about the subject for hours of diplomatic talks - without discussing the main purpose. They cannot wait to know and get into the main theme, from the very beginning of the conversation! Try telling them that you are ready for something, and then keep them waiting by suddenly remebering to go to toilet, or changing shoes, or collecting your make-up things. Try bombing them with a bunch of imagined (or real) threats to their health, that they are in danger regarding health problems - and talk/worry about it all day. Try to extract meaningless compliments out of them - like "How do I look today? ", "Don't you think little girls look better in pink? ", etc. Try to talk about yourself all the time, and if they try to say something - interrupt with "Yes, but I ...", and start talking about yourself again. In general, any attempt to challenge their basic Arian traits, will anger or irritate them. For example: telling them to calm down, making them feel insignificant, underestimating them, bossing them around, being slow, trying to control them, etc. For Aries, joy equals action. A risky proposition, something that includes adrenaline, will rejuvinate the mood. Stealing something harmless from the neighbour, or a midnight cruise on the wrong side of the law, getting off the stairs with skates, or jumping from the balcony with paragliding - plan whatever that sounds insane. And, take care that the project lasts as much as you can, because the Aries is known to change his feelings pretty fast. Note that the above observations are mere solar-scopic indicators based on generic Aries traits and behaviours, and do not consider the other planets of an individual's Natal Chart required for real Horoscopic readings. Other planets may enhance, suppress, and even nullify certain Aries behaviours.